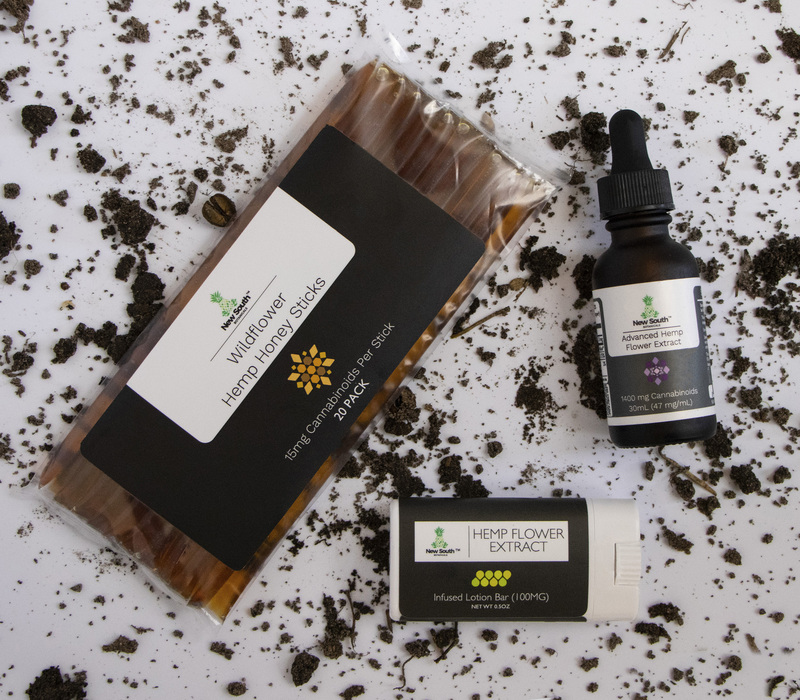 What makes New South Botanicals different than our competitors is that we pride ourselves in providing you with a variety of effective CBD products to better suit your needs. With this being said, we are proud to launch our new line of gold, silver, and bronze Bundle Packages . Our bundle packages are for those who may want to try our our legacy for the first time or whom would simply like to receive a discounted assortment of our finest and most likable products. So what comes in my bundle? 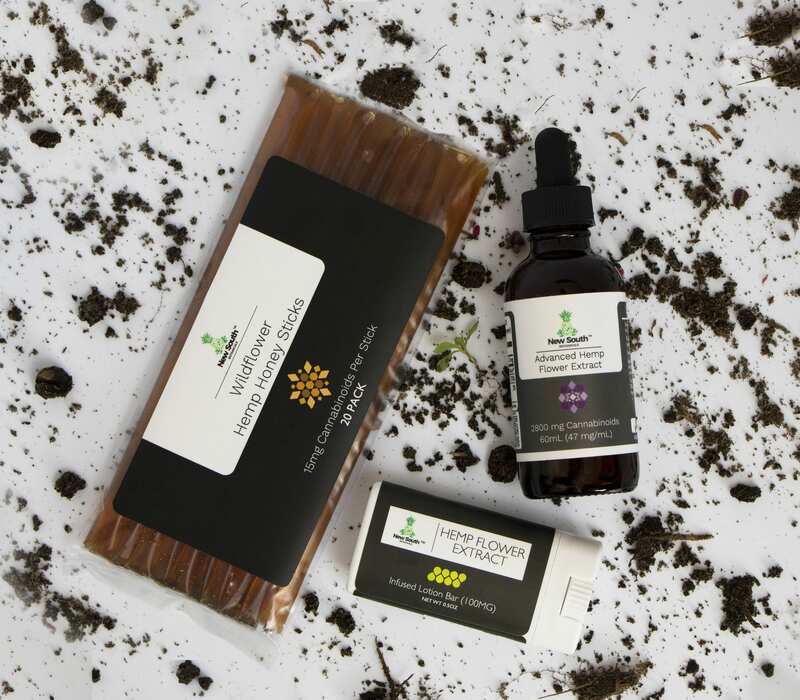 Each bundle package comes with a Hemp Flower Extract Infused Lotion Bar, a Pack of 20 Hemp Flower Extract Honey Sticks and a tincture depending on the level of potency you prefer. 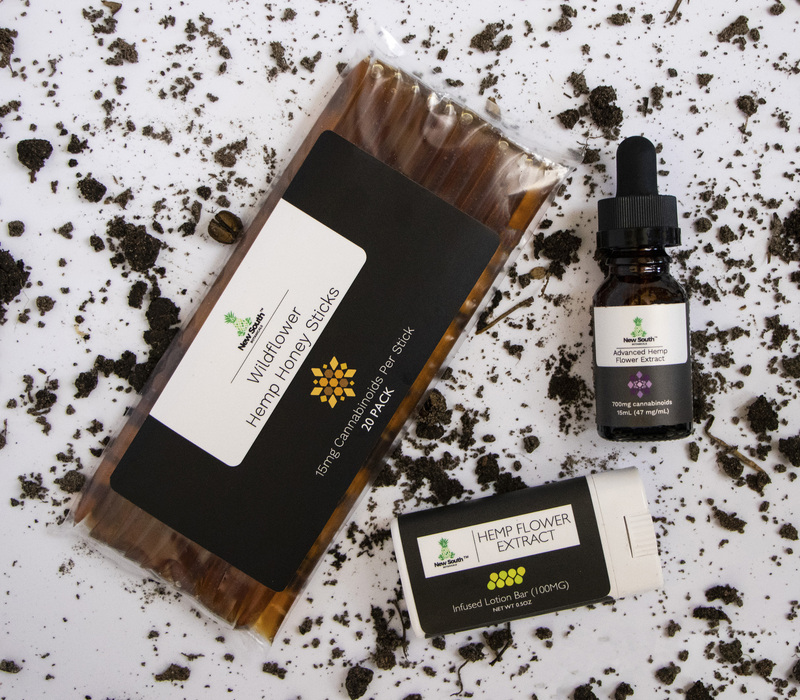 The Gold Package carries a 2800 mg Advanced Hemp Oil tincture, the Silver package carries a 1400 mg Advanced Hemp Oil Tincture and the Bronze package carries a 700 mg Original Formulated Hemp Oil Tincture. 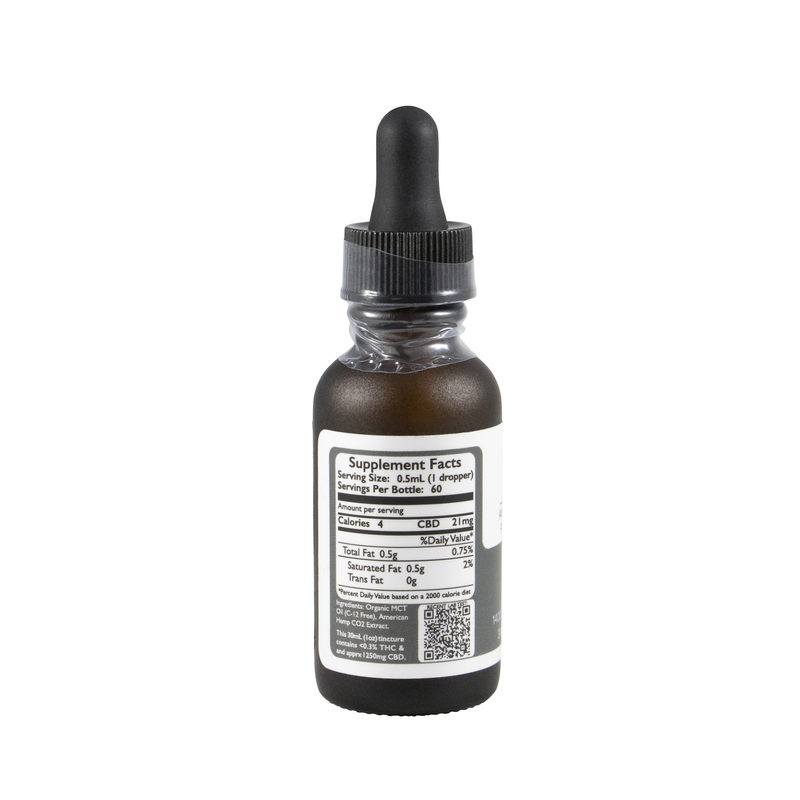 New South Botanicals CBD oil is best to use daily and great when dealing with large dosing or periodic dosing throughout the day. Doses of CBD oil should be measured out in “droppers”. A “dropper” or one serving is measured as 0.5 mL of liquid that is retained when squeezing the pipette in your tincture. There are 0.25, 0.50, 0.75, and 1mL marks on every pipette. Tinctures are best utilized when held under the tongue for 15 to 60 seconds. Our CBD oil typically starts to work within 15 to 30 minutes and the effects typically last anywhere from 4 to 6 hours. Did you know that New South Botanicals makes the most concentrated full spectrum CBD infused honey sticks on the market? Ours are portable, potent and portioned out, containing 15 mg of cannabinoids per stick. 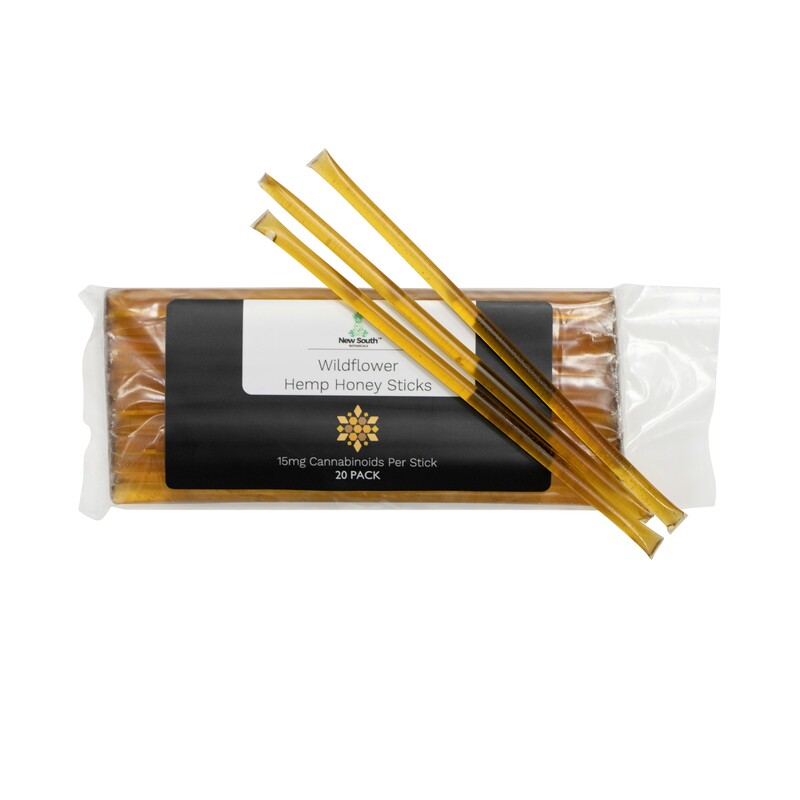 Our Hemp Flower Infused Honey Sticks are intended to be swallowed. Fun, effective and convenient to add to any drinks such as coffee, hot chocolate, tea or a cocktail. (hint: Crystal Light Tea complements well). Add to any foods such as a sandwich, popcorn, pancakes, and deserts! Apply full spectrum CBD oil to your skin with our Hemp Flower Extract infused Lotion Bar. Its easy roll on applicator is convenient and was designed specifically for topical skin and body relief. 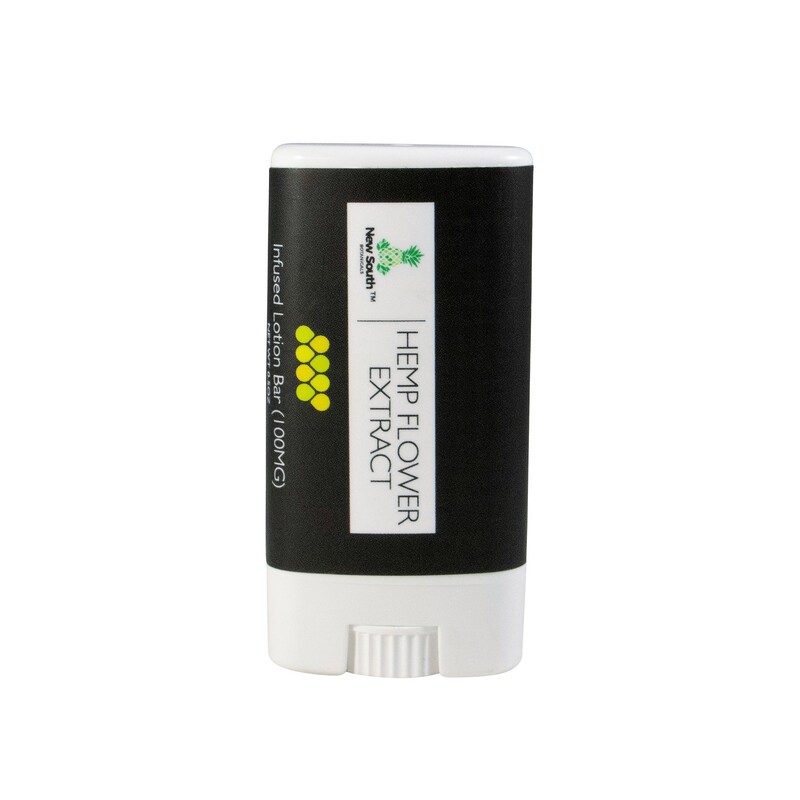 Each 1/2oz tube contains 90mg CBD and 10mg of other cannabinoids. They are made with organic beeswax, unrefined shea butter, virgin coconut oil, lavender, tea tree and our full spectrum CBD oil. Many of our customers have found that our Lotion Bars are great for arthritis, muscle soreness and back pain. We have included some educational material in all packages with content describing which route may be best for you. Refer to your brochure, call us at 1-855-HEMP-500 or email us at connect@newsouthbotanicals.com to get questions to all of your answers. We care about your wellbeing and are committed to assisting you as you navigate your way through the journey towards a more balanced and healthier lifestyle.